Rebecca is the Teen Librarian at Belvedere-Tiburon Library, CA. 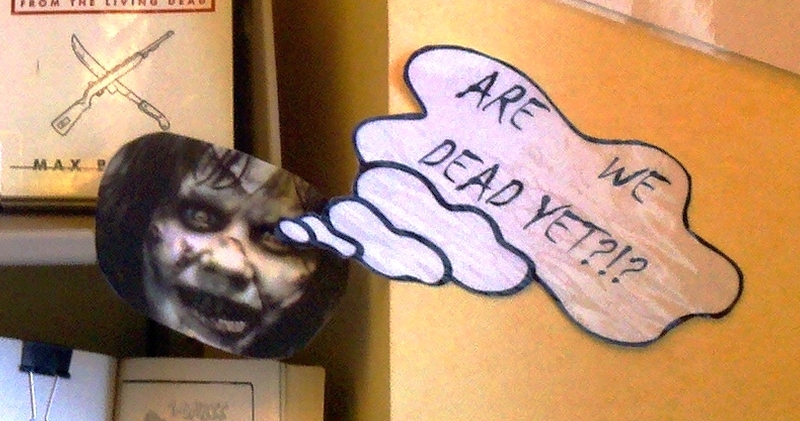 'This is the new Zombie display in the Teen Alcove of the Belvedere-Tiburon Library, one week before our upcoming Zombie Night Party. Three teen volunteers helped me set up this display. Unfortunately (or not) many of our great zombie books are checked out, but we found a variety of YA and adult titles'. Great idea Rebecca, I'm sure it will a great night. 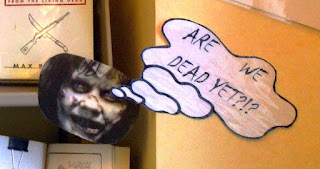 Hope all the rest of the Zombie books get checked out by the end of the evening!